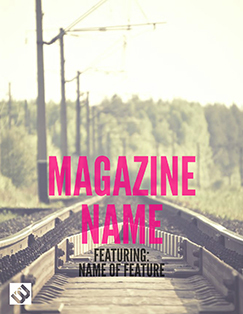 Free Online Magazine Maker: Design Your Own Magazine | Lucidpress . 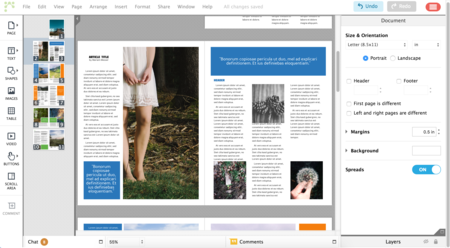 ', failHtml: "
Lucidpress is a free software program that gives you the tools to create and design professional digital or print magazines that can be published or shared with ease. Get started with our how-to guide below. 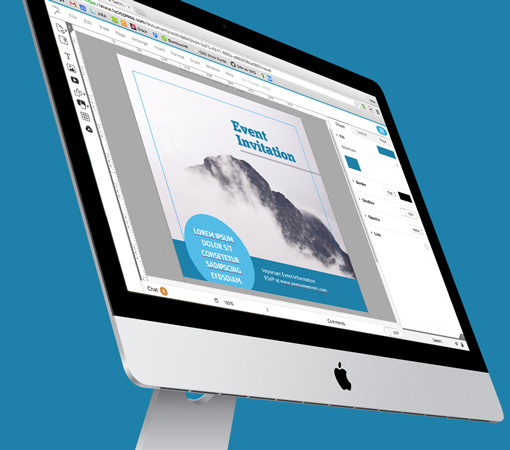 Our free digital magazine maker comes with a range of sleek, printable magazine templates so you can start creating without stressing about the layout. Here's just a small selection of what we have to offer in our extensive template gallery. Lucidpress lets you design a magazine that will turn heads, whether it’s in digital or print format. Your magazine will look great on a computer screen or tablet, and everything you make in Lucidpress can be shared through social media with the click of a button. Lucidpress strikes the perfect balance between ease of use and sophistication. It’s more powerful than a word processor, but more accessible and less expensive than desktop design software. You won't find any steep learning curves here. 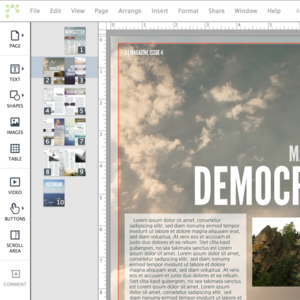 If you're used to desktop magazine design software, get ready for something better. 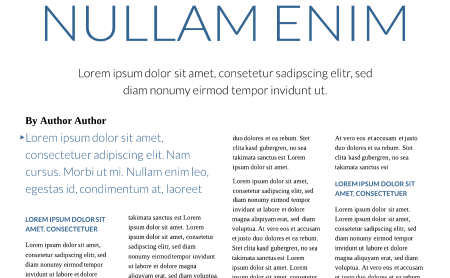 Lucidpress offers an immersive, easy-to-use layout tool on the web. It's compatible with both PC and Mac. Now you can design anywhere, any time. Become a savvy magazine designer and publisher. We make it fun, not frustrating, to bring your creative projects to life. With multi-page layouts, robust image management and smart brand controls, you and your team can collaborate online to create a magazine you're proud of. Download your finished magazine in print-friendly PDF, JPG or PNG format, or publish it with our online publishing tool. Here are a few of the other great features you get when you design in Lucidpress. 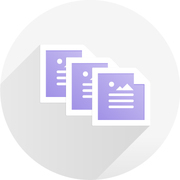 Managing a team of contributors has never been easier. 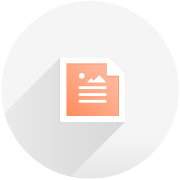 Our magazine maker allows an unlimited number of users to edit a single document in real-time. See others' changes instantly, plus comments and chat. Our easy-to-use software gives you the freedom to tackle the entire creation process with impressive results. The drag-and-drop editor makes it easy to achieve your vision with no compromises. 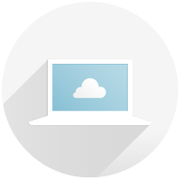 Lucidpress integrates with your favorite tools to put content at your fingertips. Transfer text from a Google Doc or insert photos from Dropbox, Flickr, Facebook, or Google search so you can stay focused on your work. We make it easy to share on Facebook, LinkedIn, or Google+. You can also increase your readership by publishing to a secure webpage or an embedded viewer, so readers can access it anywhere. Appealing images are essential to capturing your audience. Make sure they are high quality: at least 300 ppi for print magazines, and 200 ppi for digital. What if a magazine creator isn’t a professional photographer? You can access free stock images, with sites like Free Range Stock, or paid services like Shutterstock. Lucidpress has image editing options to help you perfect your shots to achieve striking quality. If you print your magazine, consult with a professional printing service. Image quality needs to be higher than it would be for a newsletter or newspaper, and you will want to use a thick, glossy paper stock. Since magazines are often folded and stapled, getting the pages in the right order can be complex. In Lucidpress, the magazine templates are laid out in cover to cover order. Work with your printing company to specify what kind of binding you want. 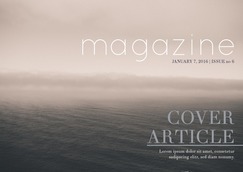 To achieve the classic magazine look, use full bleed in your document. The bleed is the area of your magazine to be trimmed before shipping to your readers. Set the bleed to 0.125 or 0.25 inch so there isn’t a white margin around your images. The way you write your magazine articles and visually present your text will depend on who your audience is. Different typefaces have different connotations, and in general, serif typefaces are optimal for print viewing, while sans serif typefaces are designed for the web. 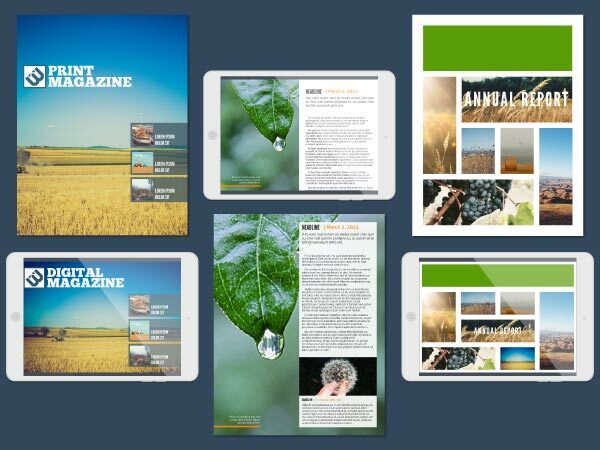 Different sections of your magazine call for different presentation styles. Use variants of one font family to give a consistent (but unique) feel to individual sections. Don’t sacrifice legibility for variety—by using different font sizes, weights, and upper and lower case, you can get good mileage from a single font family without looking too busy. Verify that your text is easily readable, will encourage your audience to share your articles, and that the words are complemented by the images. Inform—Articles should add value for the reader. The text of the magazine should be accurate, thoroughly researched, and well-written. Entertain—People subscribe to print and digital magazines because they’re fun. 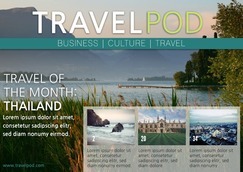 The combination of photography, graphic design, and human interest articles should draw your readers in. Entice to buy—Magazines and catalogs are ideal showcases for goods and services. 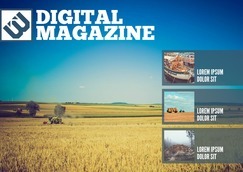 With the advent of digital magazines, your audience can be directed immediately to the point of sale. Spark debate—Journalism should expose readers to a variety of viewpoints. When magazine articles go viral, you have the opportunity to drive cultural conversation. Persuade—Both short- and long-form writing ultimately have the goal of persuading readers to a given point of view or course of action. Make sure that your writing is clear, concise, and is tightly focused. A well-designed magazine can stop you in your tracks. With Lucidpress as your magazine layout software, you can combine stunning graphic design with the latest in cloud-based storage and collaboration. 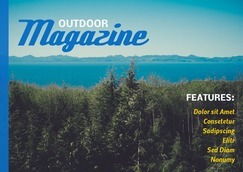 Get started with our customizable magazine templates now.